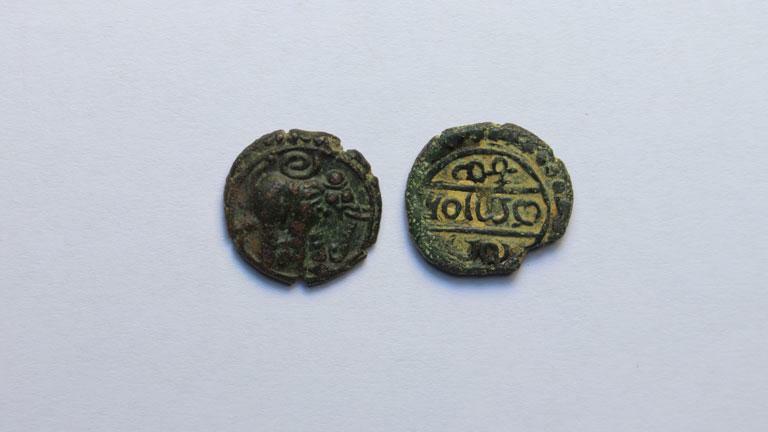 The coin had been used in the Hoysala Dynasty of ancient India. Obverse: An elephant facing towards the right is visible. Reverse: On this part, Manadanayakaru in Telungu words is depicted.